This isn’t the most recent of content, but before it disappears into the vaults of backed-up files, I thought it should finally make an appearance on the site. 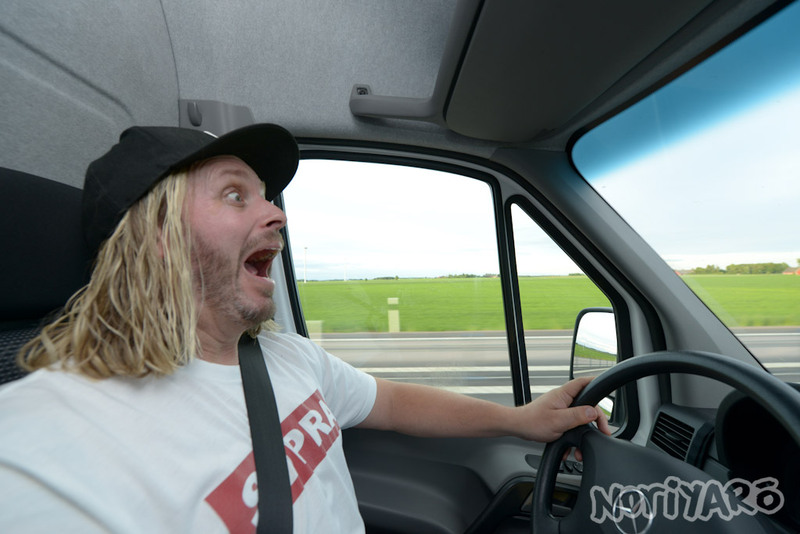 Early last year, the Norwegian drift team Driftmonkey’s boss Ove Harlem asked me to find him a Japanese guest driver for the Gatebil event in Mantorp, Sweden. I suggested D1GP driver and Kids Heart manager Tsuyoshi Tezuka, since I knew he was keen to do some more drifting overseas. 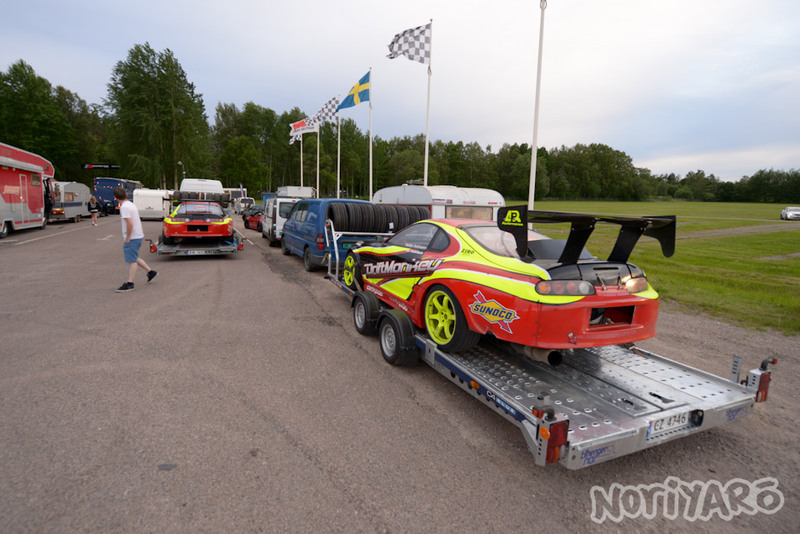 Driftmonkey usually has three cars, two driven by regular drivers Reidar Andresen and Anders Klerud, and a third for guest drivers. After not too much messing around, Ove had both of us on a plane from Tokyo to Oslo, where picked us up and took us for a nice dinner at the port area of Aker Brygge, before heading to the Driftmonkey garages the next day in Rakkestad. 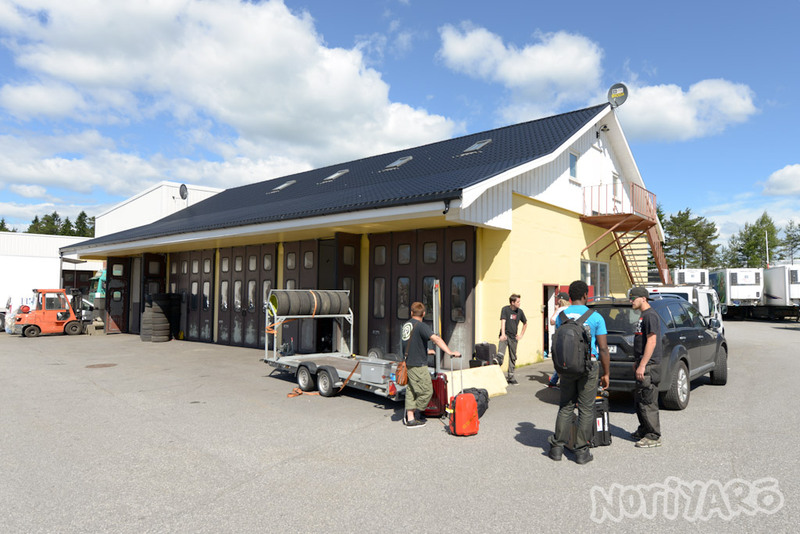 The garages and workshop are in a spacious truck depot. These are two of the three Driftmonkey cars. Tezuka’s car was fitted with a BC 3.4l kit, a really big Garrett GTX turbo (I forget the size) and a four-speed G-Force gearbox. Tezuka tested the seating position, while Driftmonkey driver Reidar did something. I think he was putting a hoseclamp on the rollcage that the perspex window could be clipped on to. Waiting around for the merchandise van to arrive. Tezuka was looking at the rear-mounted radiator setup. 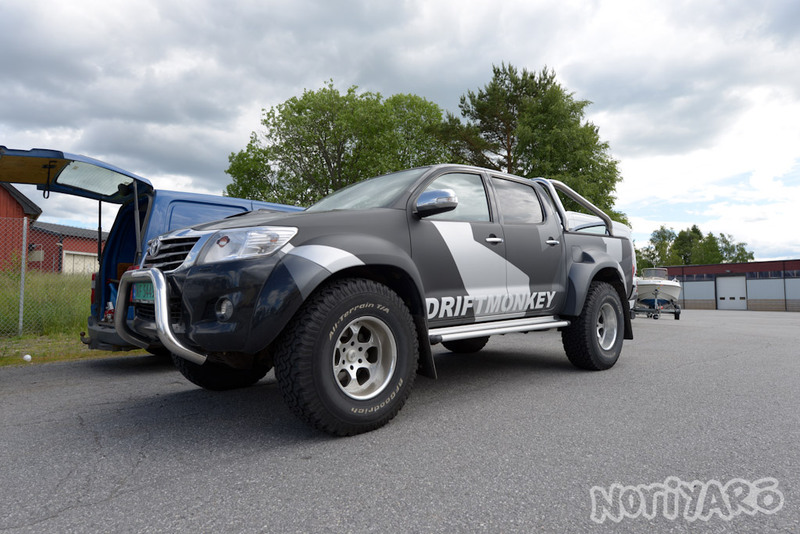 Remember the Artic Trucks Hilux from Top Gear? This is the street version. Tezuka was updating his social media and blogs like a teenage girl the entire trip. 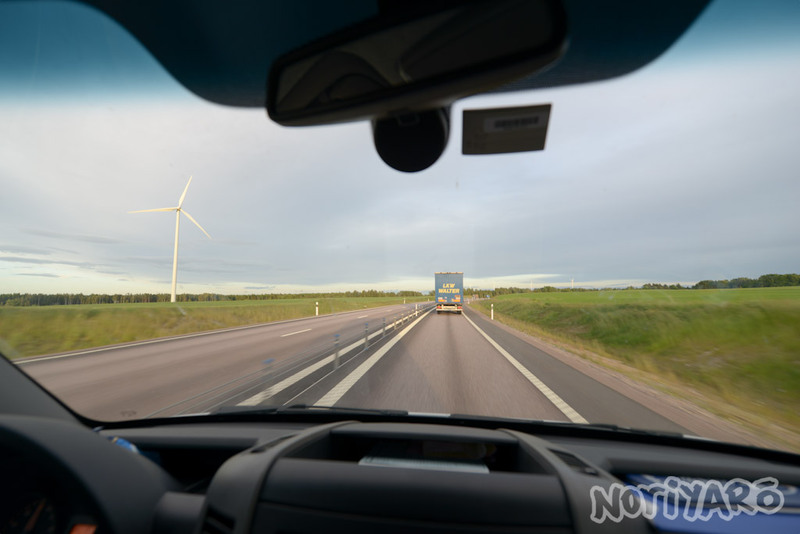 All ready to drive to Mantorp in Sweden, which was about a six-hour trip! 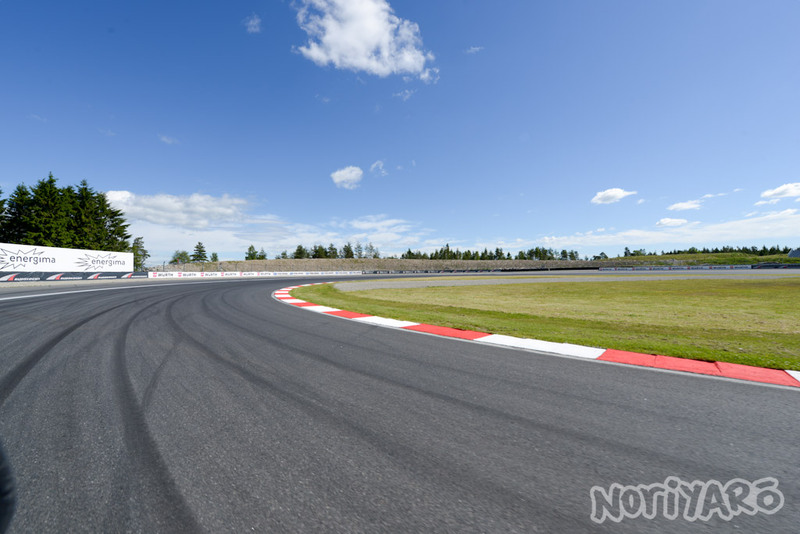 Before going to Sweden, we stopped in at Rudskogen, the circuit seen on all the most infamous Gatebil videos. It’s only a few minutes up the road from the Driftmonkey headquarters. Little did I know that I’d be driving this very corner a few months later, but more on that another time. The view out the window for most of the trip looked exactly like this. 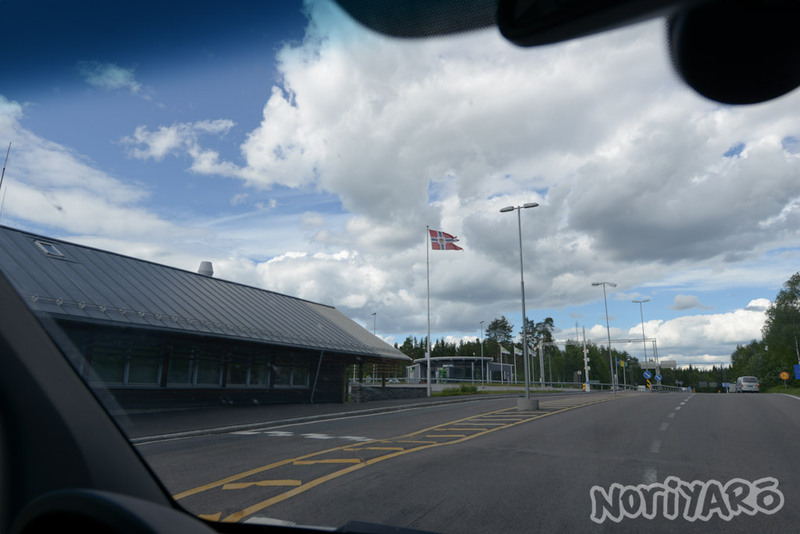 Across the unmanned border into Sweden. We stopped in at Burger King for lunch. They sell these amazingly delicious spicy fried melted cheese ball things in Swedish Burger Kings. Sweden, also, mostly looked like this. At least, the parts near the highway did. I’m probably touching Ove’s leg in this shot. Japanese are experts in sleeping sitting up, which is what Tezuka did. I forget what time of day this was, but it was probably fairly late in the evening. 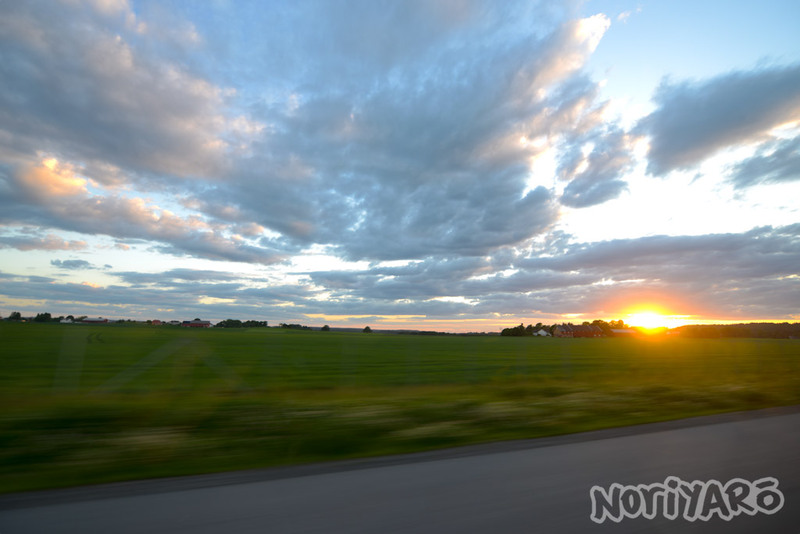 The colour of the skies and sunlight in Scandinavia is a photographer’s dream. 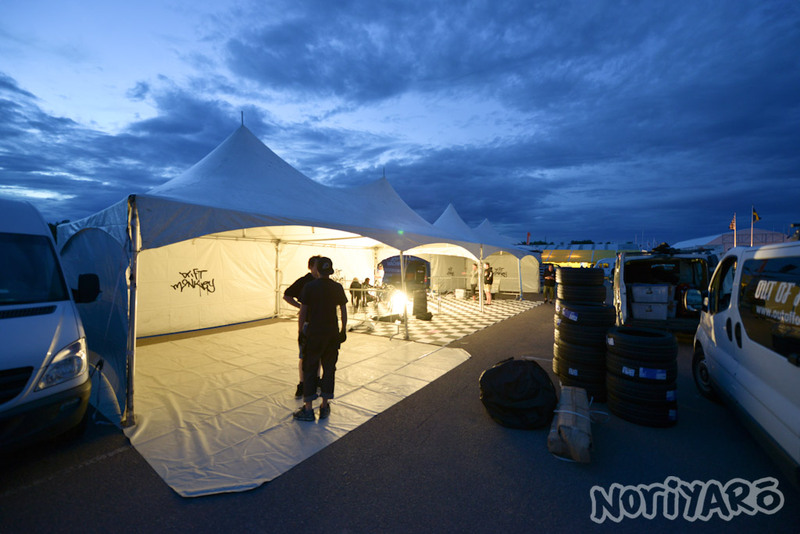 We arrived at Mantorp and lined up for all the paperwork and wristbands you need to get in. In the fading light, we set up the enormous Driftmonkey marqees. They fit three cars and an entire merchandise stand. More in the next post! In the meantime, watch this video of the event to see some of the driving action from the Driftmonkey team. from memory, the Drift Monkey supra’s are running GTX4088 turbos. Whaaaat, I had no idea you were there, are you in Sweden or Norway some next year? I’d love to have a chat and buy a t-shirt or maybe a hat!